This major fundraising endeavor — the largest in our history — will strengthen the college for decades to come. 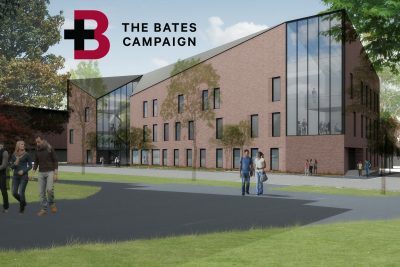 Anchored by a $50 million gift, the new building will drive the evolution of science education at Bates and accelerate faculty collaborations that epitomize 21st-century STEM research. This is a redirect to the Los Angeles event page.